(VEN) - In the two years since the prime minister issued a decision on promoting the development of renewable energy in Vietnam by encouraging solar power projects, the installation of rooftop electricity-generating solar panels has constantly developed in the south. According to the Southern Power Corporation under Vietnam Electricity (EVN SPC), more than 740 customers in the south have installed solar power panels on roofs and sold electricity back to the national grid with total capacity of 11,618kWp. 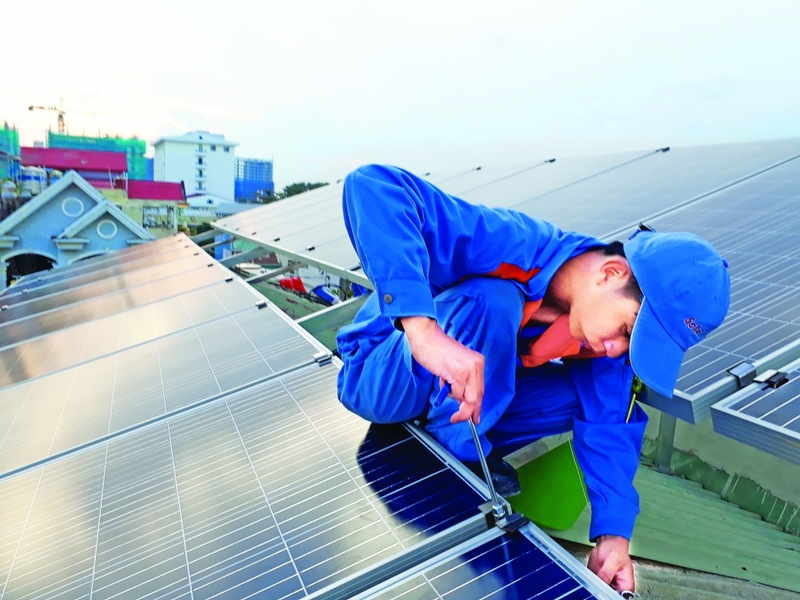 Le Van Phuoc, general director of the Ho Chi Minh City Power Corporation (EVN HCMC), said some 1,030 customers in the city had installed grid-connected electricity-generating solar panels on roofs by the end of 2018, with total capacity of 11.37MWp. Total installed capacity increased by nearly 52 times compared to 2013, and many additional customers have registered for installation of rooftop solar panels. According to the EVN HCMC, 19 subordinate units are completing installation of grid-connected solar power system at their headquarters, with total capacity of nearly 1,128kWp. The corporation is implementing installation at 47 intermediate substations with total estimated capacity of 2,658kWp, expected to be completed and put into operation by the end of June 2019. The Bach Khoa Investment and Development of Solar Energy Corporation (SolarBK) has installed solar panels in nearly 400 households with total capacity of about 1.5MWp, including 250 families in the south. Vu Khanh Toan from Ho Chi Minh City’s Cu Chi District said his family invested in a solar power system with capacity of 2.12kWp in September 2018. He found that he has saved a million Vietnamese dong on his electricity bill each month. Ngo Lan Hanh from Ho Chi Minh City’s Tan Phu District said that with installation of eight solar panels on the roof to produce 12-14kW each day, she spends about VND400,000-600,000 a month on her electricity bill, instead of VND1.2-1.4 million. Lam Binh Vinh from Tra Vinh Province invested VND140 million to install electricity-generating solar panels on the roof, with total capacity of 7.8kWp. 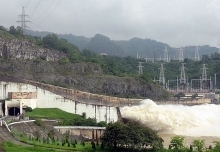 His electricity bill dropped below VND2 million a month from VND3.2 million a month previously. According to southern power companies, demand for solar power systems is increasing. However, to encourage the further installation, problems related to electricity payments by customers when selling back to the grid need to be resolved.